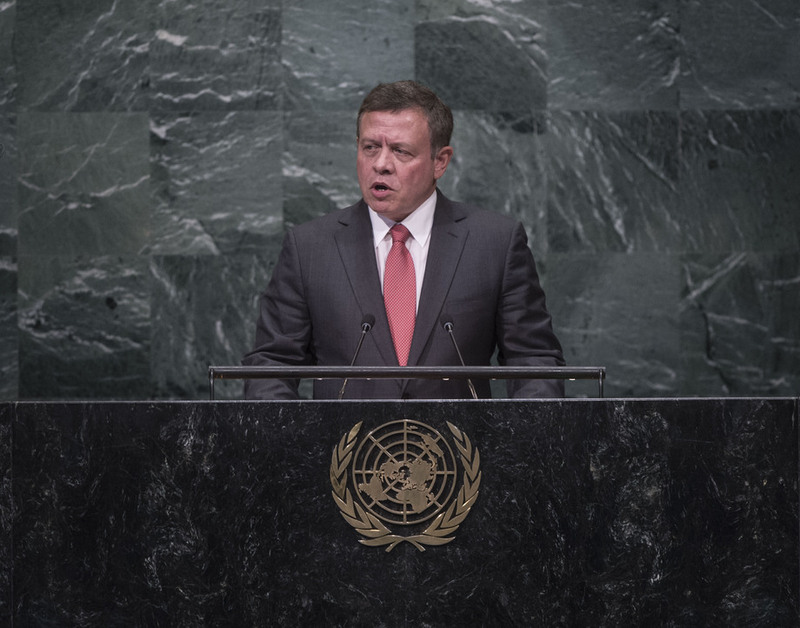 ABDULLAH II IBN AL HUSSEIN, King of Jordan, recalled that his country’s national parliamentary elections were presently taking place, adding that they represented yet another step in Jordan’s positive, evolutionary path. As the world gathered together at the General Assembly, a network of extremist terrorists was working to stack the odds against the core values that bound the worlds’ common humanity. The question confronting the international community was what its legacy would be, and whether it would pass on to its children a world dominated by dread and division. After several years facing the global war on terror, he was struck by the lack of understanding of the true nature of Islam found among many Western officials, think tanks, media leaders and policymakers. “False perceptions of Islam and of Muslims will fuel the terrorists’ agenda of a global struggle by polarizing and factionalizing societies, East and West” and driving themselves deeper into mistrust and intolerance, he stated. In that regard, when the outlaws of Islam — the “khawarej” — murdered, plundered, exploited children and rejected the equality of women before God, they abused Islam, he said. Islam taught that all humanity was equal in dignity and that there was no distinction between different nations, regions or races. The khawarej deliberately hid such truths in order to drive Muslims and non-Muslims apart. “We cannot allow this to happen,” he warned. The radical outlaw groups did not exist on the fringes of Islam, but outside it altogether. A new mind set, new partnerships and reformed methodologies would be needed to confront such a non-traditional enemy. For Muslims it was, first and foremost, a fight for their future. The international community also faced a fight for its future, he continued. The war would not be fought on the battlefield alone, but everywhere humans lived and interacted. Security cooperation was imperative, but equally important was a holistic approach. New channels between continents and nations, within countries and among people needed to be opened. That meant reforming the way people communicated, shared information and used technologies. “Ours is a global fight,” he said, emphasizing that the focus must not stop with the Middle East, but reach far beyond, in West and East Africa, South-East Asia and the Balkans. In Syria, a military approach would leave no winners, only losers on every side, along with further civilian suffering. An end to violence demanded a political process shepherded by a unified global vision and led by all components of the Syrian people. As those goals were pursued, he said, the international community must also take responsibility for those whose lives had been crushed — millions of refugees, victims and impoverished. The scourge of terror and violence could not be decisively defeated without rooting out the injustices that provided its fertile ground, from the prisons of Abu Ghraib to the streets of Kabul to the schools of Aleppo, where injustice and humiliation had left tremendous human suffering in their wake. No injustice had spread more bitter fruit than the denial of a Palestinian State, he said, stressing that Israel had to embrace peace or eventually be engulfed in a sea of hatred.